Alexis was at work on Sunday and someone went out for sandwiches, which she doesn't eat. So she ate some mediocre side salads and the meat out of the sandwich, but it didn't quite suffice. 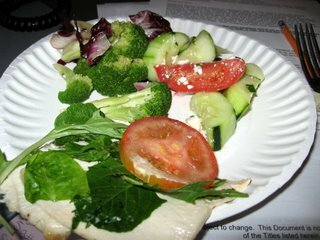 Chicken from a sandwich and side salads.